Umpire Sundaram Ravi, whose howler -- not spotting the no-ball bowled by Lasith Malinga on the last delivery -- cost Royal Challengers Bangalore heavily in an Indian Premier League match and led to an angry outburst by RCB skipper Virat Kohli, is unlikely to be sanctioned due to lack of officials with international experience on the BCCI roster. Currently we have only 17 umpires assigned on-field and for third umpires' duty. Out of them 11 are Indian and six foreigners from the Elite Panel. 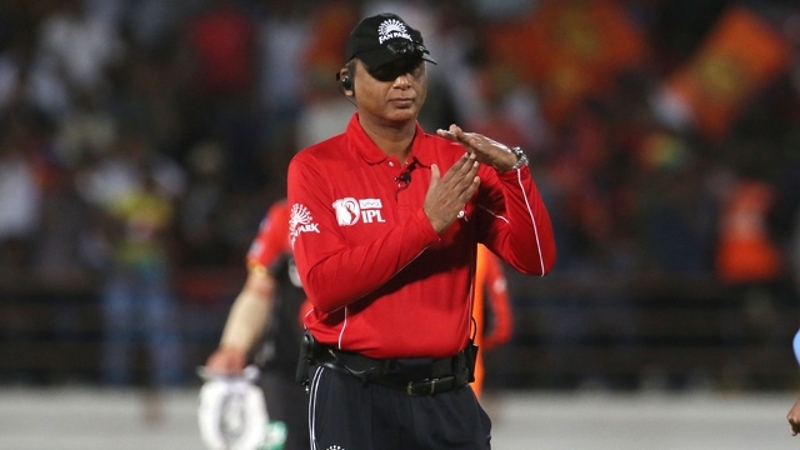 Apart from them, we have six more Indians as fourth umpires, a member of the now defunct Umpiring sub-committee, who is privy to allocation of assignments, told PTI on Friday. Match referee Manu Nayar has no option but to mention the errors by Ravi and Nandan in his report but you can't just off-load Ravi. Let's accept, the replacements will be worse. So penalising him is out of question," he added.